Data Binding in Angular means bind the data in component's HTML file from type script file. We can get and set DOM values dynamically using Data Binding. Route guards in an Angular application facilitates to block a particular route based on user authentication or on some extra permissions. In this blog, we will implement route guards in Angular. Routing means navigating from one page to another page in an application. In this blog, we will create routes, child routes in an Angular app to demonstrate the concept of routing in Angular. In this blog, we will learn about creating new forms in Angular. Angular provides more than one way to build forms for user input and the form validation. Pipes in Angular transform the data before it display it to view. In Angular 1 i.e. AngularJs, Pipes were called as filter. In previous blog, we have seen how to use HttpClientModule? 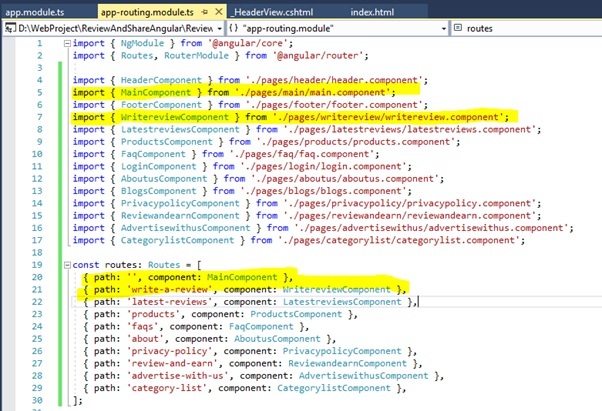 In this blog, we will create and consume an ASP.Net Web API in Angular 7 App using HttpClientModule. How to call an API from Angular 7? In my earlier blog, I have explained How to create a static website in Angular 7? In this blog, we will see How to call an API from Angular 7. In this blog, we will see how to create a static website in Angular 7? If you are new to Angular then please visit my earlier blog. Angular Tutorial. Directives in Angular extend the use of HTML by adding custom behavior. In this blog, we will see the use of directives in Angular. How to pass data from one component to another component in Angular? 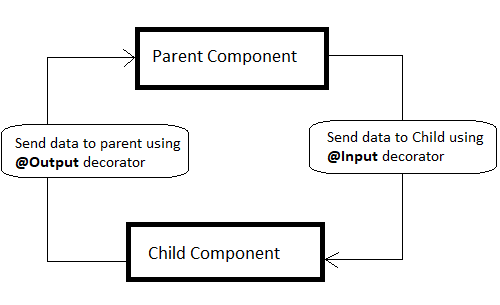 In Angular Apps, you are going to come across a scenario where component needs to communicate with each other. Below are few Angular CLI commands that are useful while developing an Angular Application. Angular 2, Angular 4 and Angular 5 are open source and fully TypeScript based client side framework to develop Single Page Application (SPA). In this blog, we will explore the new features in Angular 2, Angular 4 and Angular 5.